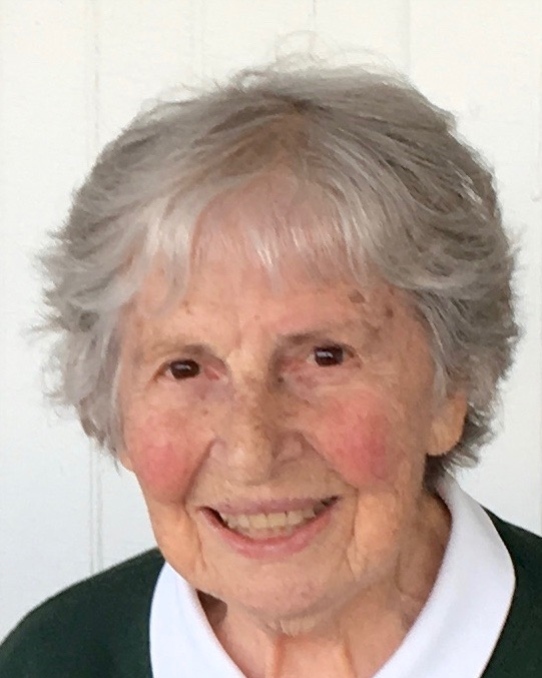 Marilyn E. (Panciera) Boris, 87, of Boombidge Road, Westerly, RI died peacefully on Friday March 22, 2019 at her home surrounded by her loving family. She was the beloved wife of Andre Boris for 62 years. Born in Westerly, RI on November 13, 1931 she was the daughter of the late James R. and Rebella (Marra) Panciera. Marilyn was a graduate of Westerly High School, class of 1949. Following high school, she studied at the Corcoran School of the Arts and Design in Washington, D.C., then at American University, and ultimately received her undergraduate degree in nursing studies from the University of Rhode Island in 1956. She trained at the Lying-in Hospital in Providence, and was employed as a nurse at Uncas on the Thames in Norwich, Connecticut, in the late 1950s. Marilyn and Andy were inseparable during their long and happy marriage, particularly over the past 25 years since Andy’s retirement. They spent many pleasant hours at the Seaside Beach Club which they joined in the 1960s. And as golf became a consuming hobby for Andy, Marilyn walked the course with him for exercise and to provide advice on putting. Marilyn loved living in the country, watching the abundant wildlife, and especially the blue birds; she enjoyed early American art and furniture; and, In later years, she became a passionate fan of both the Boston Red Sox and New England Patriots, rarely missing a game. Marilyn is survived by her husband Andy and daughter Christine Smith (William) of East Greenwich, and her beloved granddaughters, of whom she was particularly proud, Katherine and Allison (and her fiancé Daniel Soley) both of California. She is also survived by her brother Ronald Panciera (Marilyn) as well as her nephews Troy and Ron Panciera, and niece Gina Panciera, their spouses and children; and her aunt, Esther Sarafian and many cousins. The family would like to thank the health care providers of Kent County Hospital, VNA of Care New England, and Dr. Herbert Brennan, all of whom provided both extraordinary care and great comfort in her final weeks. The Boris family will greet relatives and friends on Thursday March 28, 2019 from 4-6 PM at the Buckler-Johnston Funeral Home, 121 Main St. Westerly, RI . A Mass of Christian Burial will be held on Friday March 29, 2019 at 10:00 AM at Our Lady of Victory Church, 169 Main St. Ashaway, RI 02891. Burial will follow in River Bend Cemetery. In lieu of flowers, the family would encourage donations to VNA of Care New England Hospice or St. Jude’s Hospital.